When the Boston Red Sox re-signed Stephen Drew, a familiar face from the 2013 World Series run came home. Now all is right in Red Sox Nation … right? That would be a tough argument to make nearly 50 games into the 2014 Major League Baseball season. An underachieving offense has met its match in a struggling rotation over a six-game losing streak that has at last count extended into late May. It’s easy to believe the champs can overcome a losing streak of this magnitude, but there is no precedent from 2013 to examine. The Red Sox never lost more than three in a row in 2013 and changed little about the team other than the subtractions of Drew and Jacoby Ellsbury. So can the absence of a light-hitting shortstop and leadoff man gut a championship team? 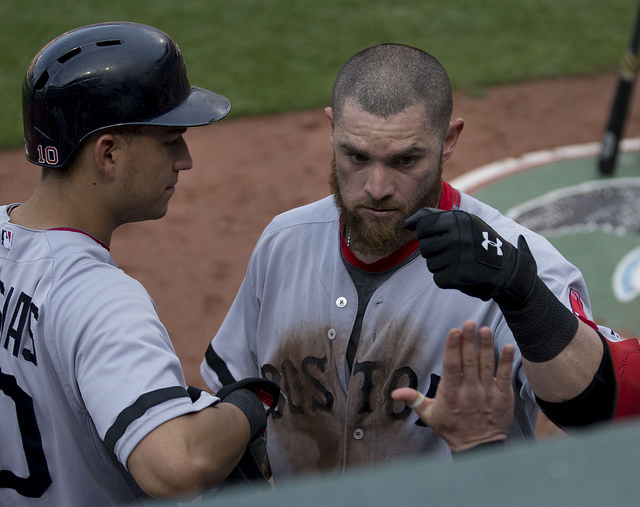 In fact, there are seven things having a clear effect on the 2014 Red Sox, and only one of them is Ellsbury-related. When your pitchers are mowing them down and everyday players are killing it both in the field and at the plate, the manager looks like a genius. (Just ask Joe Torre, who is going to the Hall of Fame and having his number retired at Yankee Stadium in 2014.) The opposite occurs when the team isn’t doing its job. In 2014, John Farrell is inviting plenty of criticism with his effort to revive a struggling offense. Things came to a head on May 20, when Farrell called for a bunt late in a game with the Red Sox down by three runs with two runners on and nobody out — twice. Boston.com recounted the events of May 20 in excruciating detail. In the Red Sox half of the sixth, catcher David Ross (of all players) tried to bunt over runners after they had reached base with none out. Ross popped up the ball for an out before the hitters behind him let the Blue Jays escape without any runs scoring. While you can make a case for bunting in the sixth — a very long-shot case, argued by the best defense lawyers in the business against a weak prosecution — you cannot make a case for Farrell’s decision to bunt again with two on and none out in the eighth inning of the same game, still down by three runs. Sorry, that’s just bad decision making. Farrell’s offense has put him in a bad spot, but calling bunt plays late in a game at Fenway Park is not the way out of it. Great managers call the right play and hope the players execute. 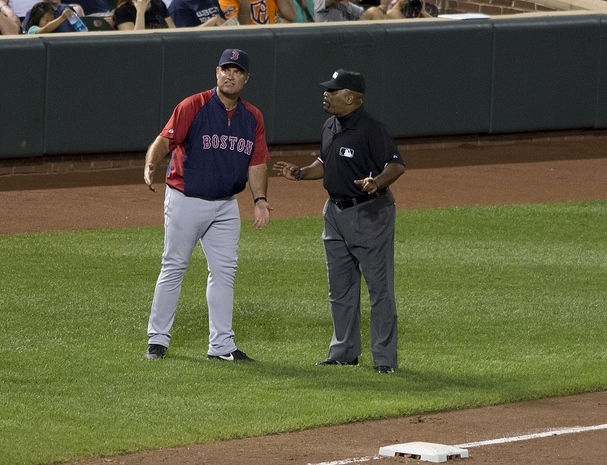 The alternative is what’s known as over-managing or, as in Farrell’s case, underperforming. Farrell is an ex-pitching coach known for his handling of pitchers. He’ll be tested for his ability to handle a struggling offense in 2014. So far, it hasn’t been pretty. A bad offense can put pressure on a pitching staff for obvious reasons. Jon Lester has been stellar in 2014, yet has a 4-5 record to show for it. Lester entered his May 22 start with a 2.67 ERA, eighth best in the league. In fact, it was the Red Sox pitching that propped the team up for most of April. During the six-game losing streak through May 22, the wheels came off the rotation. Red Sox pitchers posted a 6.68 ERA during the six-game slide, with an average of two baserunners per inning. A WHIP close to 2.00 in Fenway Park is begging for trouble, and the ERA shows that Detroit and Toronto hitters have been giving it to them. The effectiveness of John Lackey and Jake Peavy early in the season has given way to subpar performances in May. Clay Buchholz has offered no help, while fifth starter Felix Doubront had his ugly 2014 interrupted by a trip to the disabled list on May 21. With the offense slumping, the pitching has to get better. 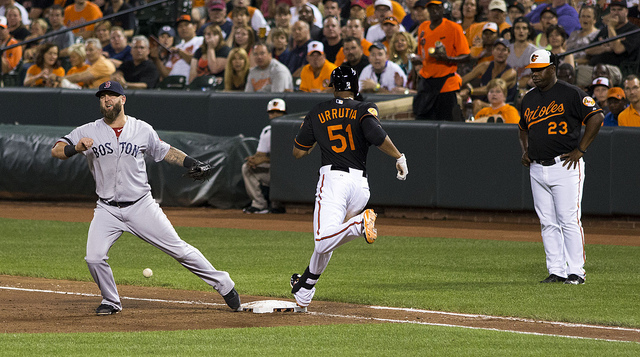 Will Jacoby Ellsbury’s replacement please stand up? It is far-fetched to believe the Red Sox were going to replace their star center fielder and leadoff man with Grady Sizemore, Jackie Bradley, or anyone else on the roster, but that was the official plan. After two months of poor leadoff production, the Red Sox have turned to Dustin Pedroia at the top of the lineup. During the six-game losing streak through May 22, the Red Sox were outscored 26-8. Only part of that slump can be traced to the leadoff spot, but Ellsbury was a run-scoring machine throughout his career in Boston. Xander Bogaerts may be a candidate with his .380 OBP, but will John Farrell plug him into the lineup? 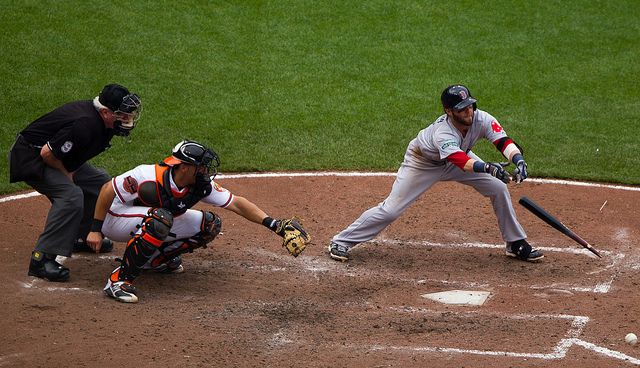 Clearly, Pedroia can help the team much more by hitting in the middle of the order. Meanwhile, Jackie Bradley (.206 BA, .302 OPB) and Grady Sizemore (.218/.283) have no business leading off for any team. Why bother getting on base when no one will drive you in? The Red Sox are hitting .246 in May, a month during which they have been close to the bottom of the barrel in the American League. With runners on base, it gets worse. Boston has posted an average of .245, which places them at No. 22 of 30 MLB teams. Meanwhile, the team slugging percentage is a paltry .357 with men on base. That slots the Red Sox at No. 28 of 30 MLB teams (yes, behind 13 NL teams that have pitchers hitting). Coming nearly last in any offensive category is a bad sign, but the Red Sox average with men on base is crippling because they have so many runners on base. Through May 22, Boston has a team OBP of .331, fourth in baseball. 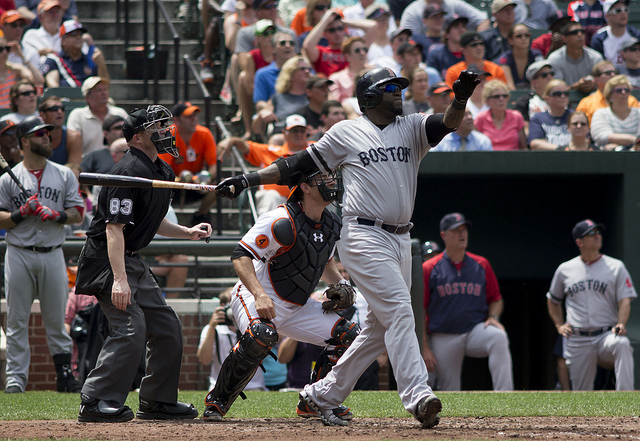 Even David Ortiz, who has a reputation for being clutch, is hitting .222 with runners in scoring position in 2014. The Red Sox had several bright spots on their bench in 2013. Backup outfielder and first baseman Mike Carp was hitting at a career high in OPS and slugging, while Jonny Gomes seemed to crank a clutch home run every time he came out for pinch-hitting duty. Carp’s numbers are down in every offensive category in 2014. Weaknesses in the outfield have been more pronounced with the early injury to Shane Victorino and the loss of Ellsbury. As a result, opposing pitchers have faced Jackie Bradley (.206), Grady Sizemore (.218), and Jonny Gomes (.242) far more than the Red Sox would like. There is little depth on the team right now. In 2013, there was no one better than Clay Buchholz. The skinny right-hander was dominating the sport with a 9-0 record with a 1.73 ERA through the first two months of the season. If that was Dr. Jekyll, the 2014 Clay Buchholz is Mr. Hyde. Buchholz has posted a 6.32 ERA (second worst among qualifying MLB pitchers) to put up with his 2-4 record. His May 21 loss to Toronto was Buchholz’s second loss in the team’s six-game losing streak, which he began his previous turn in the rotation when he pitched decently but fell to Minnesota. 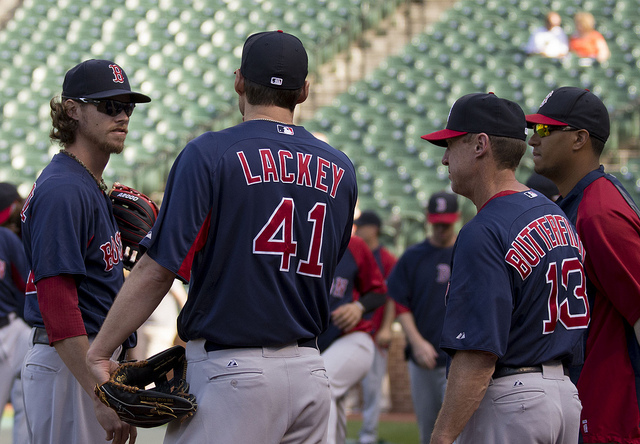 The start before that, Buchholz gave up six earned runs in 4.1 innings against Texas. 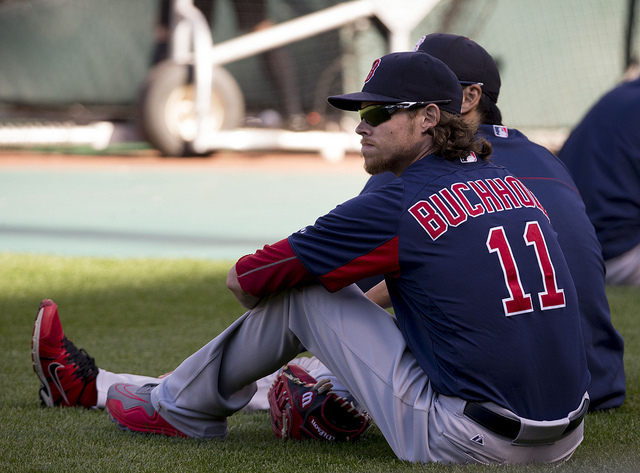 So far in 2014, batters are hitting .331 against Buchholz — numbers worthy of a batting title. Buchholz’s ERA in Fenway Park is 8.66 (nearly a run per inning) while his WHIP is 1.85, the worst in baseball. Instead of being a second ace or the shut-down pitcher the Red Sox had in 2013, Buchholz is tossing batting practice. While the most violent market correction can be seen in the performance of Clay Buchholz, every team that has overachieving players one year usually sees a regression to the mean the following year. Baseball’s law of averages is the most brutal in professional sports. Why did Mike Carp go from slugging .523 with an OPS of .885 in 2013 to .373 SLG and .723 OPS in 2014? Because he’s a backup player who was performing better than he ever had in 2013. A similar argument can be made for Shane Victorino, who had his best season in years during the 2013 World Series run. Of course, the biggest regression of all among hitters came in the form of Ellsbury’s subtraction to the current leadoff situation. The return of Stephen Drew will provide stability at shortstop and allow Bogaerts to slide over to third base in Will Middlebrooks’s absence. That may improve the defense and batting order somewhat, but the bigger problems in pitching and hitting with men on base have nothing to do with Drew. That will take an across-the-board revival for Boston. It may sound dismal, but the sky should not have fallen for Red Sox fans. Even with the team’s problems, Boston is only four games out of first place in the AL East. In the marathon MLB season, that’s nothing a few hot weeks can’t cure.